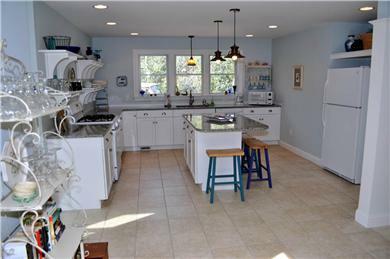 Bright, spacious, new home and barn located a in a quiet wooded area within the National Seashore and walking distance to Long Pond and trails. Short distance bay and ocean beaches. 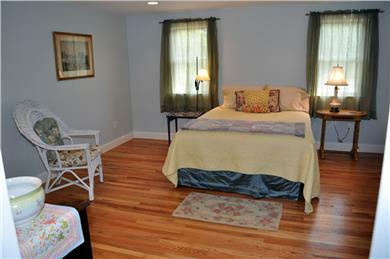 The home is fully heated and air conditioned with large flat screen HDTV's and Wi-Fi. 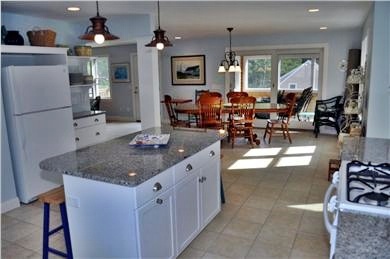 Large open floor plan with fully equipped kitchen with granite counter tops, gas stove, island, living and dining area with spacious decks and screened in porch. Great for 2 families to share with 2 master bedrooms with baths, and separate floor consisting of 2 bedrooms (sleeps 4),with shared bath, and large family room with flat screen TV, great kid's space. The home sleeps 8. 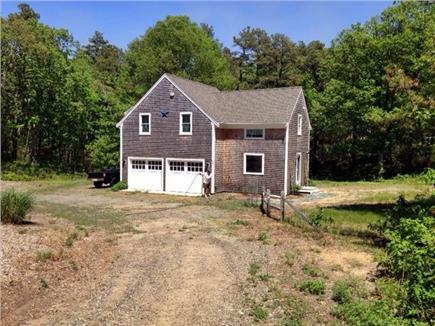 Outdoor shower, 2 large decks and screened porch, natural landscaping and everything needed to make your vacation in Wellfleet very special. The Barn is a fully furnished fully heated and air conditioned, with 1 master bedroom and bath, kitchen and large living area. Has wi-fi and HDTV. 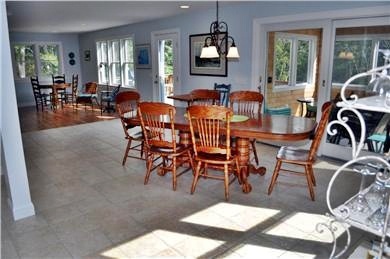 Large deck off the kitchen area. Sleeps 2. Great for the friends or relatives to be off by themselves. The barn and the home sleep a total of 10. 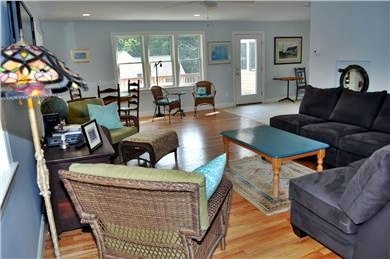 Both units are to be rented together for the weeks of July 2 thru August 26. The Home is available without the barn for the rest of the weeks. 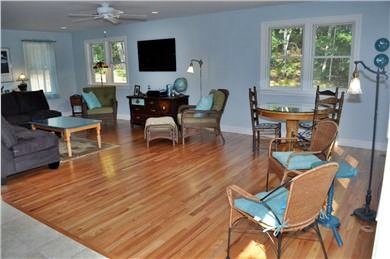 We are located in Wellfleet close to both ocean and bay beaches within walking distance to Long Pond with all the Cape Cod National Seashore has to offer. 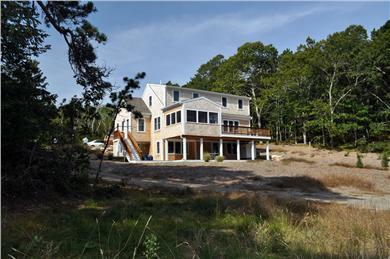 Near, with easy access to the 26 mile long Cape Cod Rail Bike Trail. 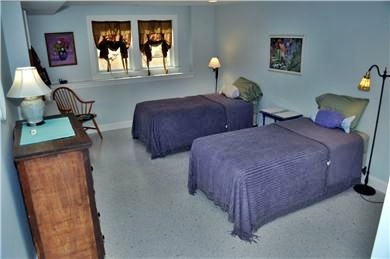 5 minutes to the center of Wellfleet which has many art galleries and quaint shops, most within walking distance of each other. Live theater, great restaurants, beautiful ocean/bay beaches (Town and National Seashore) and many fresh water ponds are just a few of the things this town has to offer. One of the last remaining Drive In Theaters is open during the summer months with huge daytime flea market. The Mass Audubon Sanctuary for great bird watching and nature programs for kids. Provincetown is just 15-20 minutes away offering many wonderful shops, shows, restaurants, galleries, dune tours, whale watching, and many other activities. 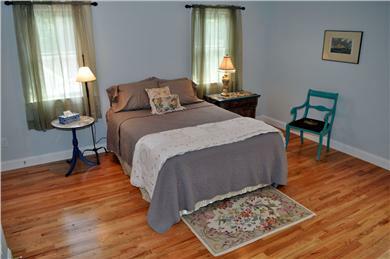 Additional pricing info: During the Summer weeks from July 2 thru August 25 The House and Barn are only rented together. State and local taxes of 12.45% will apply.